So, according to Wired To Hunt, the rut should be late this year due to the “rutting moon” predicted to happen on November 17th, way later then most years. Now, for me, I like a late rut because that means the deer are still a little crazy during rifle season here in Kansas. Keeps them moving around later in the season. So what do you guys think? Do you like a late rut? I’ve been waiting to see how the Kansas Wildlife and Parks Commission was going to vote on a few new regulations. It’s now legal to use a crossbow during deer archery season. They also dropped the rifle cartridge limit, so all those new AR owners can now use them to hunt during rifle season. 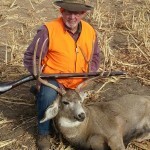 Any centerfire rifle or handgun cartridge can now be used for big game hunting during the appropriate firearm season. I’m not totally sure what I think of that. While I don’t have a problem with a .223, I’m not sure a 9mm pistol cartridge should be legal. I know that it’s all about placement, but really? I’ll guess we see. Overall, I think most of the new regs are a good deal. The good wife is excited about taking her crossbow out. What do you guys think about the new regulations? We just returned from our 4 day hunting trip, the Good Wife and I. We had a blast this year, it was a great year. The Good Wife got her first deer. Keith’s dad took the best buck of his hunting career. And a new deer hunter, Keith’s son, nearly shot his first. With a flintlock none the less! 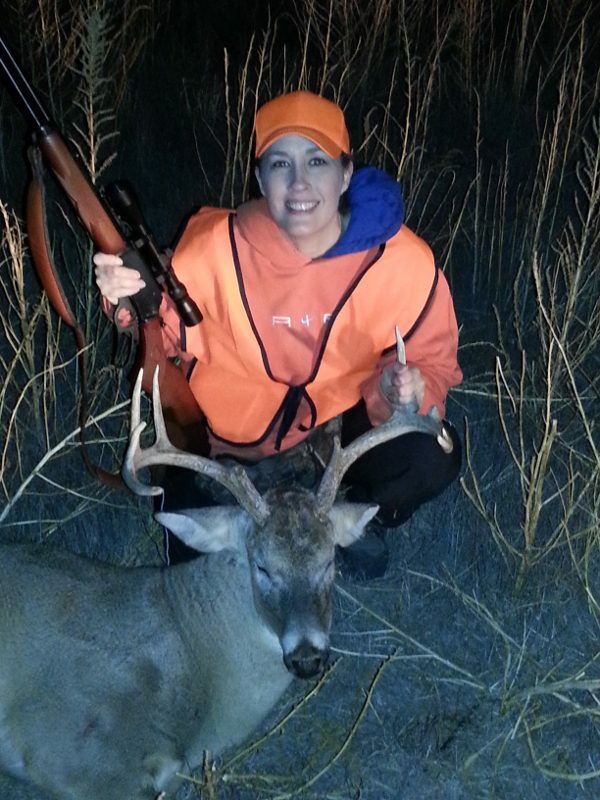 It was truly great seeing my wife shoot her first whitetail deer. She took a great shot. It was nice 10 point, but one brow tine was completely broke off and another tine was half gone. Still, a nice buck for her first deer. Nicely done my dear! 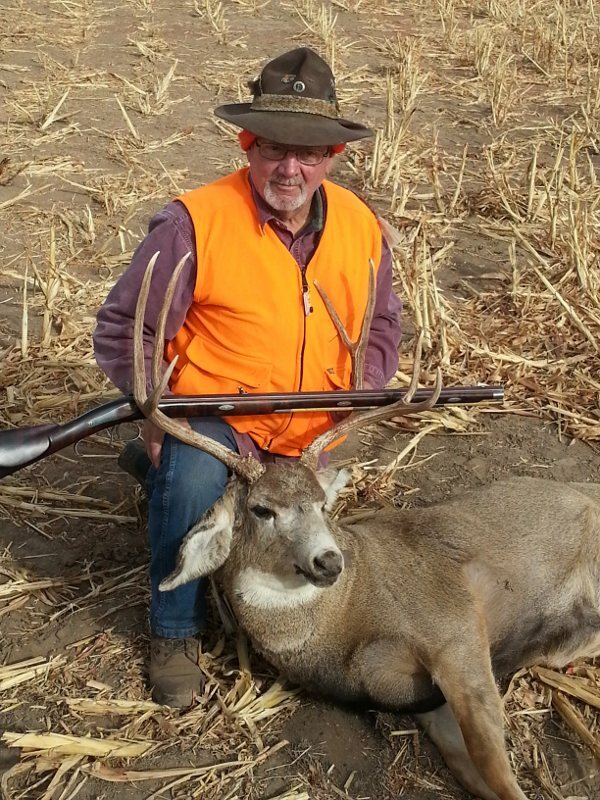 Keith’s father, Wes, shot a really nice looking muley this year. The best of he’s ever shot. And he has shot a deer almost every year he’s hunted. We’re talking over 40 years here. I would have like to have seen it play out, he had to stalk it a bit and hold the shot for several minutes until the muley buck came out from behind some bushes. Nice 70 yd shot with a cap and ball muzzleloader, that he built by the way. The photos are below, hope you enjoy. Let us know how you did this year.